A very warm welcome to all our readers to the 3rd Edition of our monthly Leptos Group Newsletter for 2019. 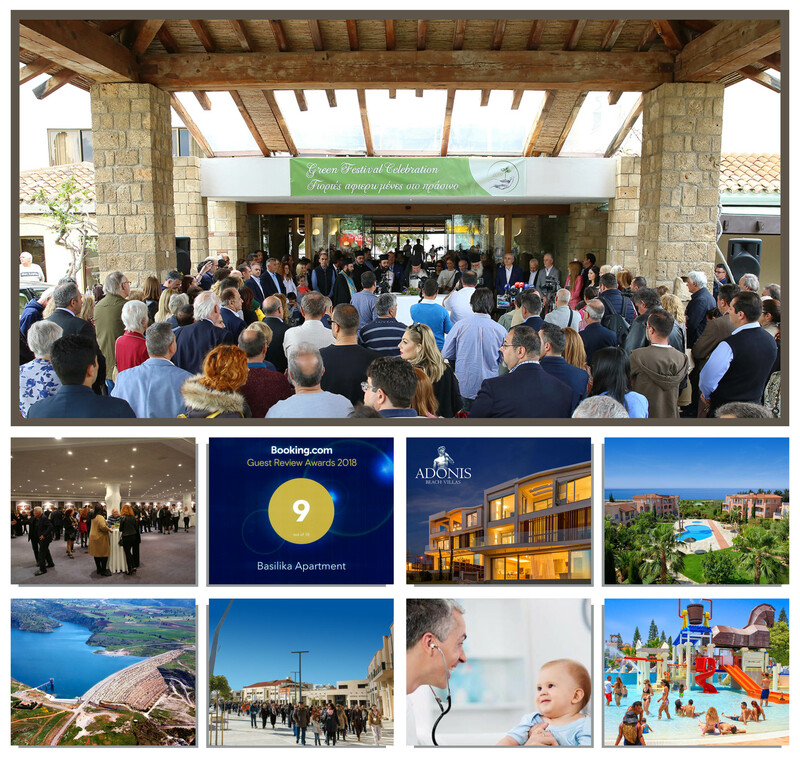 In this new edition you will find important and useful information from various fields of our new property developments and other activities both in beautiful Cyprus and in amazing Greece, as well as about Paphos the new multicultural and cosmopolitan city in the Eastern Mediterranean. The Green Festival Celebration in Coral bay – Peyia, organized by the Leptos Group, has been the talk of the town for the past two weeks in Paphos. The Leptos Group of companies organized last weekend a tree planting event entitled “Green Festival Celebration” in the Coral Bay area, dedicated to the enrichment of the natural environment of Cyprus. “Adonis Beach Villas”, is an exclusive super modern and luxury beachfront development offering to lucky buyers and investors a remarkable way of living with extraordinary finishes, services, facilities and amenities. Another Leptos Estates project is an attraction for golf enthusiasts due to its proximity to three major international golf courses, of ''Aphrodite Hills'', the ''Secret Valley'' and “Elea Golf Club” in the Paphos region. Cyprus has been ranked 49th on the list of the world’s happiest countries, far higher than previous years, according to the latest World Happiness Report published on Wednesday. Tourist arrivals to Cyprus broke yet another record in February and in the first two months of the year, exceeding the number of tourists that visited the island during the same period in previous years. Cyprus ranks as the 21st healthiest country in the world according to the 2019 edition of the Bloomberg Healthiest Country Index, which ranks 169 economies according to factors that contribute to overall health. With 83.58/100 points, Cyprus dropped three places from last year’s Index, when it had 88.19 points.